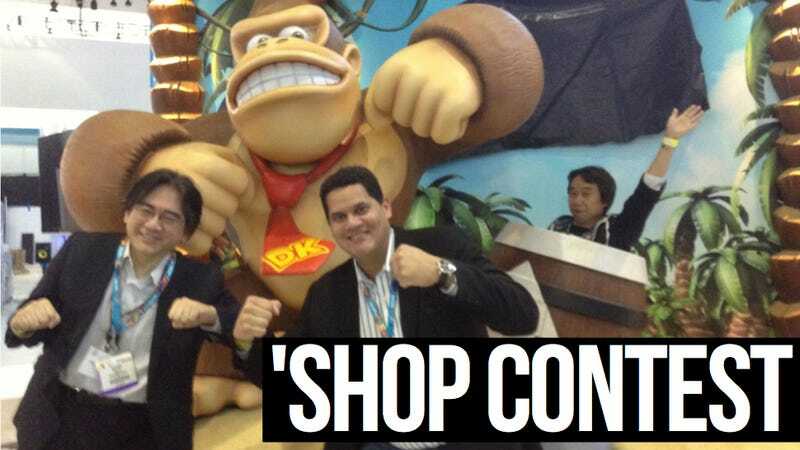 Mr. Iwata, Reggie (in particular) and Miyamoto have been great friends to the Kotaku 'Shop Contest over its three year history, so we're going back to them again with this pic from E3, which I'd like to think Nintendo shot just for your amusement. This one one was a mortal lock for the contest from the time it went up, featuring three good exploitables, four if you count Donkey Kong's head. It doesn't need much guidance from me. You all are the experts, I'm just the curator of your collective genius. 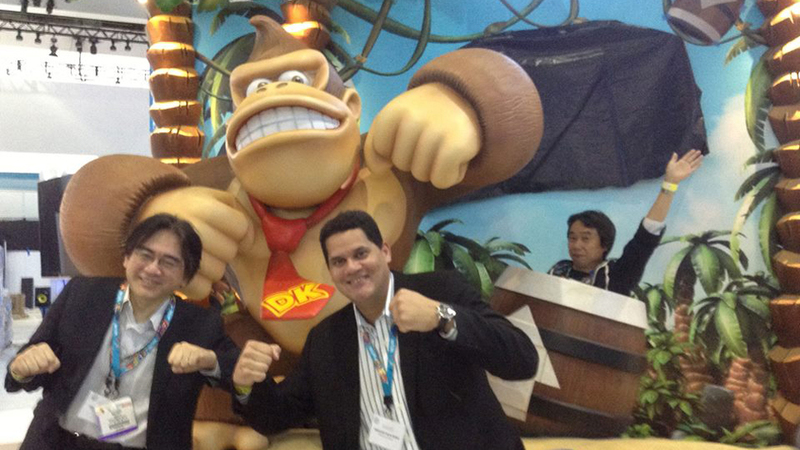 Source Image: Satoru Iwata, Reggie Fils-Aime and Shigeru Miyamoto clown around with Donkey Kong at E3.